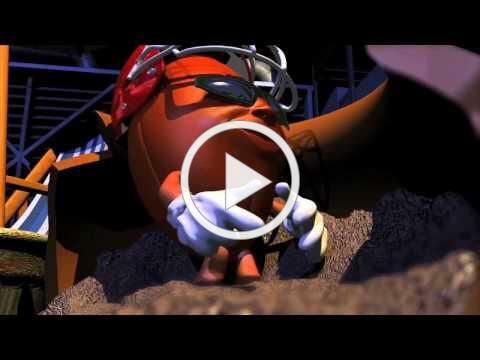 LOS ANGELES — With only days until The Big Game, Chuckle TV Multimedia Network is bringing the zany animated All Ball Band’s football character “Pig” to the 53rd annual championship week celebration. In an effort to highlight the importance of “school sports” and “reading,” the new network is presenting the release of an original free mini-movie and a collection of nine children’s books each for only .99 cents. The twelve-minute film short, “Pig is Chosen Again” is an original animated film produced by Detroit native and Motown’s singing group “Four Tops” member Jim White. The captivating tale is designed to delight young football fans all over the world. The Grammy Award winning, Rock & Roll Hall of Famers The Four Tops, provide the soundtrack for several of the song selections, and Michael “Boogaloo Shrimp” Chambers known for his role as “Turbo” in the 1984 cult classic film “Breakin'” and the 1984 hit sequel “Breakin’ 2: Electric Boogaloo,” returns as the voice behind the kid character of Jimmy. The mini-movie short film “Pig is Chosen Again” can be viewed on Game Day at http://chuckletv.com/ and on ROKU, AMAZON FIRE TV STICK and APPLE TV. The All Ball Band is a group of animated sports balls that sing and play instruments. In “Pig is Chosen Again,” we find the band’s funky drummer Pig, as in “pigskin,” as the rambunctious young football sent from the mystical magical place known as All Ball World. Pig is once again chosen by the Ball World’s leaders The Elder Balls to come to Earth and serve as the official football used in the kickoff at The Big Game. Pig’s only nemesis is Victor Pinball, an evil wizard who lives inside a pinball machine. On Pig’s journey to earth, it becomes a real “Ball of Confusion” as the Temptations 1970’s hit song ensues when Pig meets a youngster named Jimmy who helps foil Victor Pinball’s relentless efforts to stop Pig from playing in the championship game. In the collective spirit of Charles Schulz’s “Peanuts,” Stan Lee’s “Marvel,” and the Walt Disney franchise, The All Ball World animated series of books and films creates characters with a conscience in a contemporary conversation. A series with equal parts education and entertainment, All Ball World is natural content for integrated media, extending its cross-platform reach via television, film, Internet, music production, book publishing, comics, mobile apps, computer and console video games, and live events. All Ball World combines two of the most potent influences on youth culture, music and sports. The various presentations offer children a fresh perspective on critical issues in familiar language, giving them playful, relatable examples of how to navigate a world that changes every millisecond. Children are guided to respectfully connect with friends and family, to love the process of learning and to discover who they want to be as they grow into adulthood by interacting in situations that are relatable and accessible to viewers of all ages, delightfully driving each storyline to its goal. Chuckle TV is producing integrated content that seamlessly engages all markets in every available media format, connecting the extraordinary promise of new technology with the time-honored value of quality storytelling. In addition to the animated short film, the “All Ball World” eBooks are available starting The Big Game Day throughout Spring Break for only .99 cents each, with titles that include: “The All Ball Band,” “The Funny Balls,” “Girl Power Balls,” “All Ball Super Heroes,” “The Billiards,” “All Ball World,” “The Protectors,” “The Elder Balls” and “The Bad Balls.” The audio books are available online at Amazon and other online retail outlets. The Chuckle TV network features wholesome original content for kids, fashion, music, celebrity interviews, lifestyles, food and sports. In addition to its American content, Chuckle TV also premieres television and film entertainment from Latin America, Bollywood, Asia, Africa, the Middle East and Europe. Chuckle TV’s original mission was to provide “free” quality short form content for mobile application but once it got the attention of national and international providers and media platforms such as Comcast, the network retrofitted itself to include longer content in the future. Watch the All Ball Band “Pig Is Chosen Again” Official Trailer at http://youtu.be/wHGvWzUxK7s . For more about Jim White Enterprises go to www.JWETV.com and www.shoahneveragain.com.